ONE is a perfect starting point for your next Joomla! project. Simple, clean and flexible for business and corporate. This business Joomla Template is designed so it is easy to use. 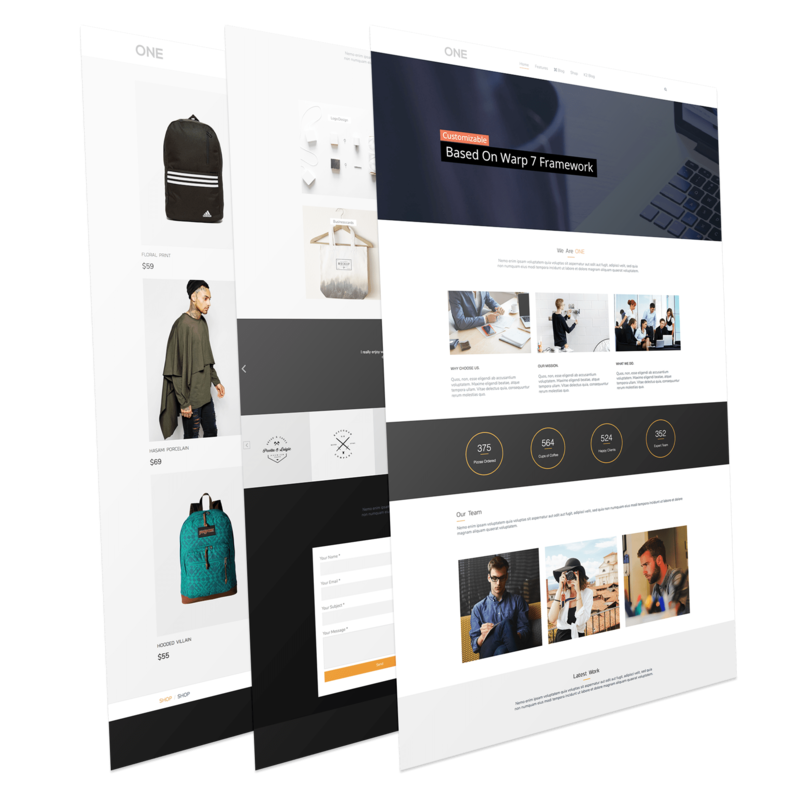 One has 61+ module positions and provides various features and extended styles for K2 and J2Store, allowing you to creatively build a website in your unique way, from simple to complicated. One is based on Warp 7 framework.